Well known and established real estate agency in the West Rand, Global Estates, has opened another branch in the area named Global Estates Platinum. Owners Christiaan Myburgh and Neal van den Berg, whom is well known for their real estate services with Global Estates West Rand, opened another branch that will service the Krugersdorp and Roodepoort area. These two award winning owners share their passion for real estate and have assembled a well qualified and experienced team to look after your every real estate need. Christiaan and Neal are both no strangers to our systems and products and assigned us to create a new responsive Flex Website for their Global Estates Platinum branch. 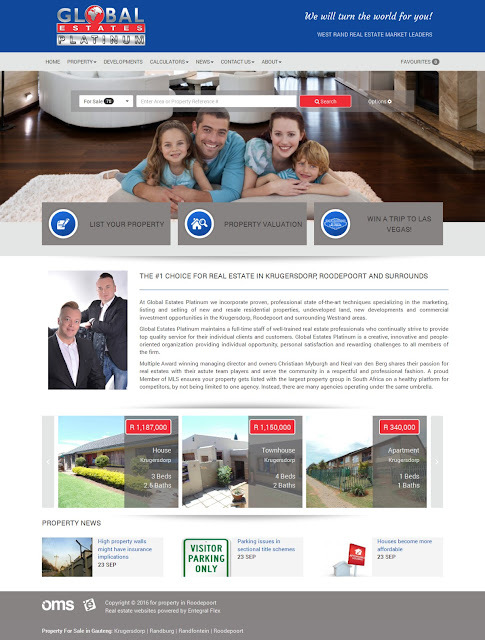 The new website for Global Estates Platinum is based on our Elevate Theme. 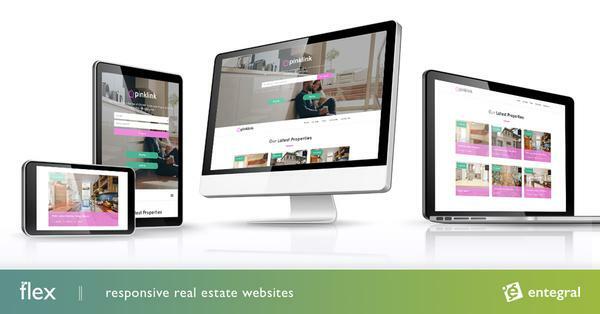 We have various templates for real estate agents to choose from, like with Global Estates Platinum, we can change the front end of the website to completely translate your corporate identity. For an obligation free quote, give us a call today and we'll make suggestions on the best template and online solution for your real estate business.